With the advance of computers, technology and software, traders are now able to automate their trading with automated trading systems. They open, manage and close trades for you even if you’re not in front of your trading platform. But, are they really up to the task? In this article I’ll delve how they’re built, how they work and their advantages and disadvantages. What are Automated Trading Systems? Automated trading systems aka Forex trading robots are tiny computer programs that automatically open, manage and close positions for you. To do so, these programs rely on mechanical trading rules and algorithms that aim to find profitable trading opportunities in the market. They often rely on help from technical indicators. Automated Forex system trading robots come as an add-on to your trading platform. Once installed, all you need to do is to enable the automated trading option and you’re done. The script behind the program will do all the hard work for you. Candlestick Chart Levels You Need to Know! But, what do they include? This includes taking into account each new price-tick to determine whether a trading opportunity exists. If the trading robot uses technical indicators as one of its inputs, which is often the case, the program will combine the recent price-action with the value of the indicator to calculate whether it’s time to open, modify or close a position. Even if you’re a total beginner in trading, you’ve probably already encountered a number of ads and offers to purchase Forex trading robots on the internet. There are literally thousands of robots available to choose from, and while many of them are free of charge, there are also paid versions of trading robots. Do bear in mind though that the price of a robot doesn’t necessarily correlate with its trading results. If you intend to use automated trading apps in your trading, I strongly recommend to backtest its performance first. I’ll explain how to do that later in this article. How do Automated Trading Systems Work? Trading robots also known as Expert Advisors (EAs), rely on mechanical rules and algorithms to identify a trade setup. To install an EA to your MetaTrader platform, you’ll first need to download the *.ex4 file and move it to the “Experts” folder inside your MetaTrader installation folder. After you restart your trading platform, you’ll be able to find the newly-installed trading robot inside MT4’s Navigator window. Just like other computer programs, trading robots have to be programmed by developers in a specific programming language, called MQL in MetaTrader. There are also other programming languages which can be used to program a robot and most of them resemble and are based on standard programming languages such as C or Java. While I won’t dig deeper into the technical side of programming a robot – it’s beyond the scope of this article – it’s important for you to understand that robots use programmed algorithms to find and execute trades. 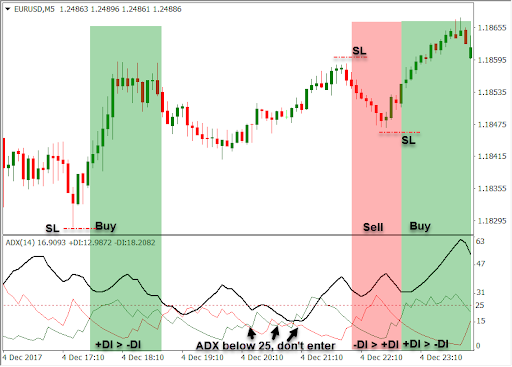 The following chart shows the EUR/USD pair with the ADX (Average Directional Movement Index) indicator applied to it. If you’re familiar with the ADX indicator, you probably already know that a reading below 25 signals a ranging market, while readings above 25 signal a trending market. In addition, two separate lines, called +DI and –DI, are used to identify the direction of the trend. If +DI is above –DI, we have an uptrend, and vice-versa. I know, this syntax is not completely correct, but if you’re familiar with programming, you’ll easily get the point. Mechanical rules are used to determine whether a trade is good enough to be executed or not. There are also more complicated trading robots which include thousands of lines of code and hundreds of conditions, but in its bare nature, a robot is nothing more than a program that analyses the market without human input. This characteristic of automated trading apps is both an advantage and disadvantage of this trading approach. What Input Do Automated Trading Systems Need? Robots can use the current price relative to past prices, values of various technical indicators, information on trading volume and even macro-economic numbers such as the current GDP growth. It can also include interest rates and inflation rates. There’s virtually no limit to the number of inputs that a trading robot can use in order to make informed trading decisions, as long as those inputs can be incorporated in a sound trading algorithm. To build a simple automated trading system, you need to have a basic knowledge of programming. If you already are a seasoned programmer, you’ll likely have no difficulties to switch to a programming language of trading robots since the basic syntax pretty much resembles that of C or Java. All you need to do is to get familiar with specific functions to get access to the current prices, technical indicator values, as well as functions to initiate a buy or sell position. Most traders who use automated trading apps are not programmers themselves and rely on robots that are coded by other developers. This is probably the best way to get your feet wet in automated trading and learn how a trading robot works. Expert Tip: If you’re interested in creating a trading robot and have the time to learn a new skill, take a look at this MetaQuotes tutorial. How to Evaluate Automated Trading Apps? MetaTrader has a handy feature that allows you to scan through various signal providers inside the “Signals” tab in your Terminal window. Most of those signal providers use trading robots to generate signals. You can get a feeling of those robots have performed in the past by clicking on a signal provider and going to the “Growth” tab. If you’ve installed a trading robot to your MetaTrader platform and don’t want to use the built-in Signals feature, you can still evaluate its past performance by backtesting the automated trading app. To do so, click on View –> Strategy Tester or use the CTRL + R keyboard shortcut. Inside the Strategy Tester window, select the ex4 file you want to backtest, select the currency pair and trading interval and simply hit on Start. MetaTrader’s Strategy Tester will backtest the robot using past prices and provide you with a detailed report on all opened trades, their profit/loss and more. Always backtest a trading robot before using it on a live account! While trading robots have certain advantages, such as the automation of trading, most of the available automated trading apps are still far away from the performance of an experienced human trader. Can an independent app that relies on mechanical trading rules really make informed trading decisions? How can trading robots avoid a disaster if the market environment suddenly changes? What if a Black Swan event occurs? 1. Main advantage – Automated trading. The main advantage of automated trading apps is that they do all the hard work for you. Simply install the robot, run it and enjoy your free time. The trading robot will automatically open, manage and close trades for you, hopefully leaving you with a profit by the end of the trading week. Automated trading has no emotions and doesn’t make emotional trades. 2. Disadvantage – Markets are unpredictable at times and trading environments can suddenly change. Mechanical trading rules work great as long as they work. However, what if unexpected news hit the market, or a change in the direction of the trend starts to give false inputs to the trading robot’s algorithm? While some of those situations can be avoided by using multiple trading apps that are programmed for different market environments, the bottom line is that mechanical trading doesn’t work all the time. That’s why you need to backtest a trading robot in different market conditions, and on a demo account, before running it on a live account. 3. Disadvantage – Risk management. Trading robots will open a trade whenever their algorithms give the green light, but experienced traders may avoid opening a trade manually if they have a bad feeling about a setup. Programs have no common sense. So, Do Automated Trading Systems Work? Forex trading robots, automated trading apps or Expert Advisors are computer programs that use simple (or complex) algorithms in order to find trading opportunities in the market. The ability to open, manage and close trades automatically is the main advantage of trading robots as traders don’t have to stick in front of their trading platforms all day long. But bear in mind that automated algorithms have their limitations, so make sure to backtest your robot before running it on a live account. 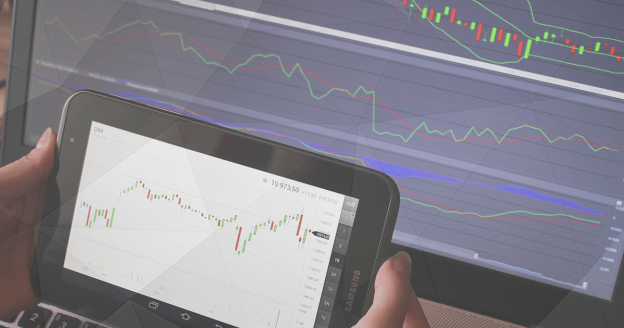 📈 Learn how to read, understand and identify the different types of Forex Charts in our latest article. 💹 Most successful Forex traders had mentors to help them when they started. 👇 Here's how to find a mentor yourself.